At the Clarendon Press, 1890, Oxford , (carte) cxxviii, 448p. Susil Gupta (India) Limited, 1957, Calcutta , (carte) 109p. F. A. Brockhaus, 1883, Leipzig , (carte) xvi, 536p. The Ramakrishna Mission Sarada Pitha, 1953, Belur Math, Dr. Howrah , (carte) xix, 248p. Luzac & Co., 1945, London , (carte) 188p. 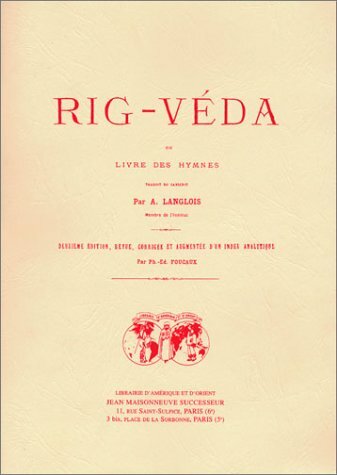 Les Éditions Traditionnelles, 1941, Paris , (carte) 267p.